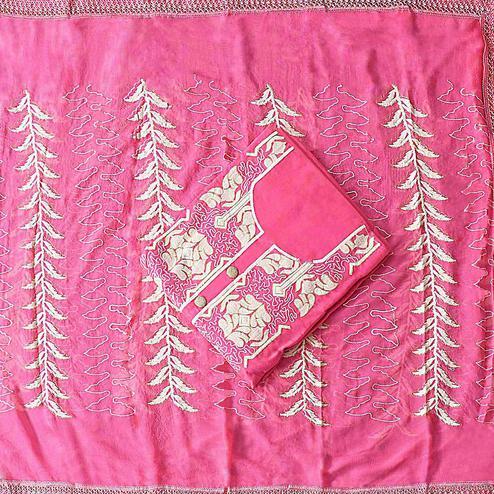 Make your casual look more beautiful with this pretty peach colored dress material. 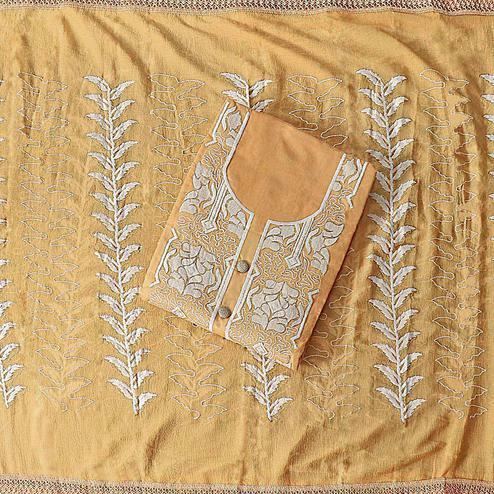 Its top is fabricated on cambric cotton that has been beautified with lovely floral print. 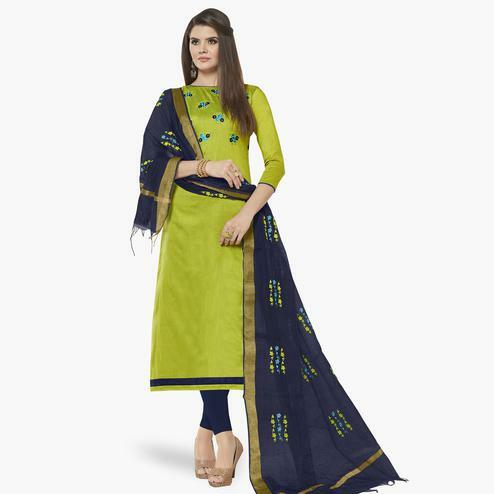 Paired with matching color cotton bottom and printed chiffon dupatta. It's a perfect outfit to wear for kitty parties, casual outings, workplace and social get together. Buy now & fetch compliments for your rich sense of style. 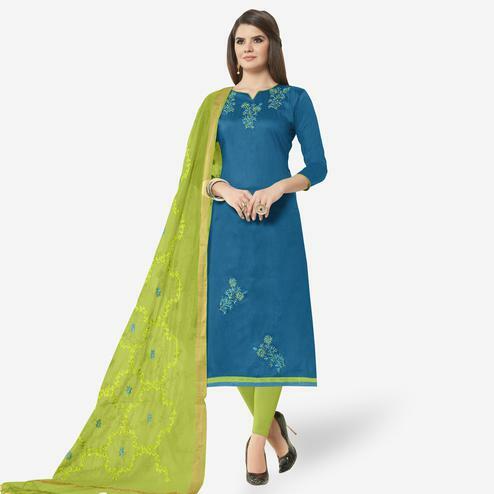 Buy this suit now as it's a unique piece with attractive color which is rare to find.